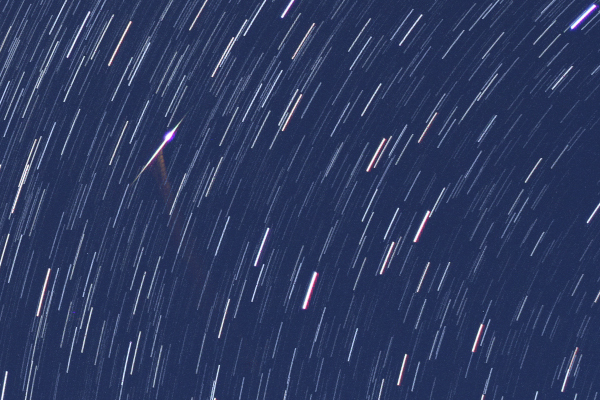 Here is the nicest one (cropped) from my pictures, and if you continue further below, you can see animations of meteors leaving persistent trains! (But be patient, the animations are big and they will load slowly…) Check them out, because you do not see such things too often :) I even sent in a report to the International Meteor Organization, to place La Palma on their map. You can also check their results. Most of the following animations capture more than one meteors. How many of them can you find? This is incredible! Extremely nice photographs! THANK YOU for showing to us!!! Beautiful pictures by a wonder-worker meteor chaser. Thanks!